I rarely discuss about K-drama on my blog, but I guess you already knew that I love anything about Korea so much. Recently one of my favourite drama has ended. 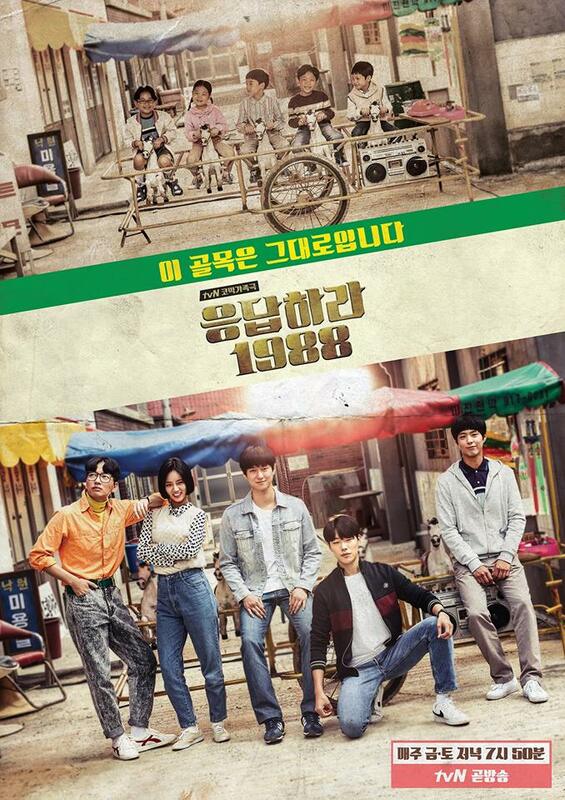 It is Reply 1988. I've been following this series since the first season 2 or 3 years ago. The first one is Reply 1997 with Jung Eunji from Apink and Seo In Gook. I completely fell in love with the story plot and I'm very excited to play guess the husband. Reply 1994 come year after the first one, though I think the story is more complicated and "heavy" than the first one, I still like this drama. The "guess who the husband" game also become more and more complicated in this serie. Now, the latest Reply series is Reply 1988. As soon I knew, that they will produce another reply series, I already sat down in front of my computer to watch it! I always excited with this drama. Finally after months, this drama has ended. Thought, I think the ending is completely mind blowing (men boong? in korean terms hahaha). Spoiler alert: The husband is Choi Taek! I always #teamtaek since the beginning (though in the middle I jump to become #teamjunghwan , but I back again to support choi taek), but I think the writer change the husband in the middle of the film. We, the viewers always believe that Junghwan is the husband (the clues are quite obvious) and also they put Junghwan's picture beside the main female picture on Asian Wiki. BF told me that usually the main male cast picture will be side by side with the main female cast, that's why he also guess the husband will be Junghwan. The writer also spoiled some important clue abut Taek not being the husband, but in the end it is Choi Taek!! arghh~ quite complicated, right?